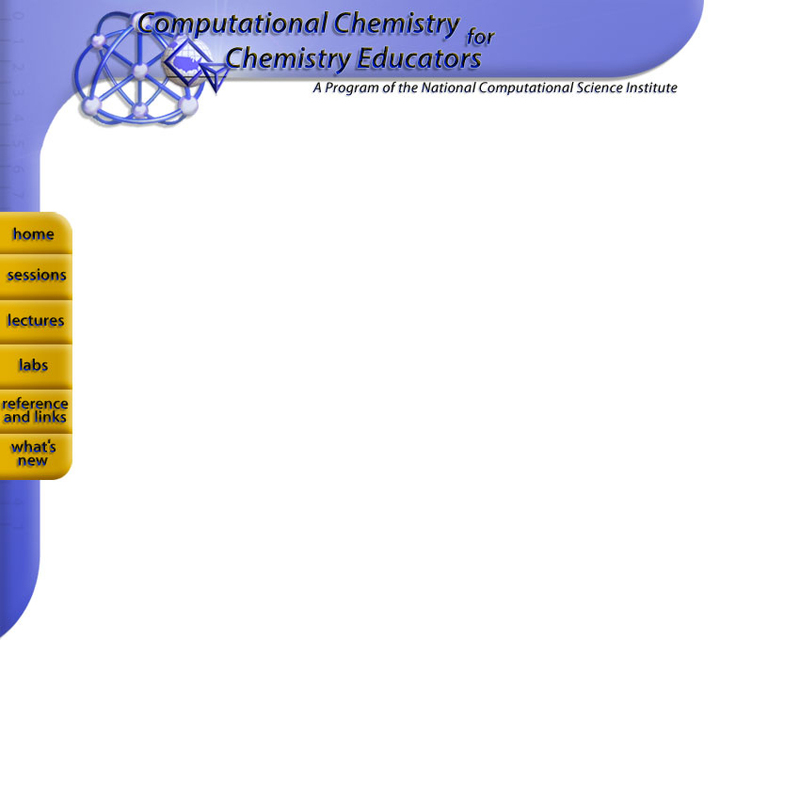 Welcome to Computational Chemistry for Chemistry Educators (CCCE)! This site is the companion Web-based resource for the Molecular Modeling workshop offered through the National Computational Science Institute (NCSI), funded in part by the National Science Foundation (NSF). This page describes the course content, the target audience, and the learning objectives. You can also go directly to the Course by selecting your session using the drop down menu.